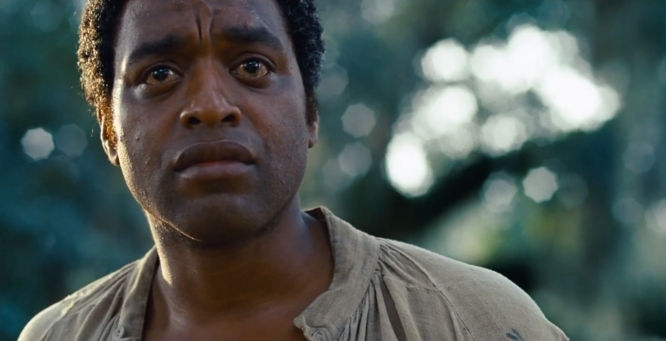 I watched 12 Years a Slave last week and have spent the time since thinking about this powerful movie. There is probably no one in what is commonly referred to as "The West" (i.e., Western Europe, Canada, and the U.S.) who needs to be convinced that slavery is a very very bad thing. But, not 300 years ago, it was ubiquitous and the victims weren't all from Africa (the word "slave" comes from "Slavic" as in the peoples of south-eastern Europe, where for a long time Europeans got a lot of their slaves). For about the last 100 years that there was slavery in the West, it coincided with a building consensus that it was very wrong. The barbarity of slavery collided with the idea that "all men are created equal." The movie, 12 Years a Slave, is based on an autobiographical novel about a free black man who was sold into slavery unjustly and accused of being a run-away slave. In his twelve years as a slave he had owners who were reasonably good to their slaves. But his last owner was a man who took out his insecurities on his slaves, including one beautiful female slave he regularly raped. Like owners, overseers (the white plantation employees who supervised the slaves) were both good to the slaves or cruel. Imagine all the bad bosses you had having the power of life and death over you. The movie is bookmarked by a brutal beginning when Solomon Northup, the free black man, is punished for being a run-away, and an even more brutal climax. This movie is well made, has many fine actors and performances, and shows that, in the words of Roy Batty from Blade Runner, "Quite an experience to live in fear, isn't it? That's what it is to be a slave." You can see the fear every slave feels: fear of saying or doing the wrong thing which will bring them a flogging, whipping, or lynching. 12 Years a Slave does a better job than any other movie I've seen about what it was like to be a slave in the antebellum South. And when you realize you need to look away from the screen at the reality of it, you realize just how bad slavery was. And is, as there are still places where it is practiced, ironically, mostly in Africa.